Packed full of resources, tips, advice, freebies, competitions, and other virtual flight downloads. 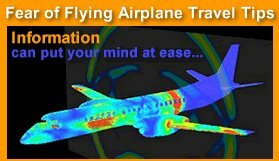 Fear of Flying Help has put together a great collection of products that may help overcome the fear of flying. Products include popular books, DVDs and CDs, flight simulator software and various flying accessories. Flight Simulator X is the culmination of nearly 25 years of the landmark Flight Simulator franchise and its most significant addition to date. The 10th addition to the highly successful “Flight Simulator” franchise, Flight Simulator X will immerse players in a beautifully rich and realistic world, offering a completely new and innovative gaming experience with dozens of new aircraft to choose from, including the AirCreation 582SL Ultralight and Maule M7-260C Orion with wheels and skis. Gamers of all ages, types and skill levels will experience firsthand what it is like to be an aviator traveling the globe either alone or online with others. Intelligent Television and Video are proud to present one of our most popular presenters, Captain Alan Dix. We teamed up with the SAS Flight Academy in Stockholm to bring you one of the most detailed programmes to date. In your visit to the Airbus A320 simulator Alan takes you through many manoeuvres that airline pilots have to train for every six months. We start your journey by taking you into the classroom for a refresher course on the layout of the A320. It was developed to be comparable in quality with other simulators in the market. To attain this a good virtual cockpit which is easily controlled with your mouse, provides a natural means for "looking" around outside your cockpit in any direction. In addition, a high degree of realism is obtained using different external views, aircraft shadows, glass cockpit reflections for faraway gliders, clouds, with cloud shadows being built into the program.